You are here: Home / Ethnic Groups / The People of Kalimantan / Who are the Dayak Tidung? Who are the Dayak Tidung? The Dayak Tidung belong to the Dayak cluster, speak the Dayak Tidung dialect and follow Islam. In the Bulungan regency, they are associated with the Bulungan people (considered the most indigenous group in Bulungan). In that area they are called the Tidung Bulungan. 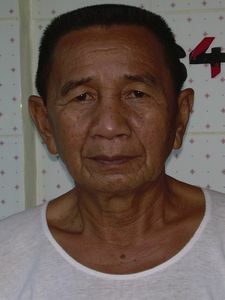 The Tidung Bulungan language is close to the Dayak Tidung language. The Dayak Tidung are also sometimes called Dayak Pantai (pantai means “beach”). Tidung also live in Kinabalu, Marudu and Belud in Sabah, Malaysia. Perhaps because they live on the beach, the Tidung are more open to outsiders than other Dayak peoples. This openness has led to the Tidung being more influenced by outside cultures of the modern world. The Dayak Tidung language is part of the Dayak ethno-linguistic grouping called the Tidong which also includes the Bulungan, Kalabakan (Malaysia), Sebakung Murut, and Serudung Marut (Malaysia). Most Tidung make their living as farmers. They grow sweet potatoes, cassava, lentils, fruit, and vegetables. The Tidung practice migratory agriculture mainly because they cannot maintain the soil’s fertility. Each time they move, neighbors work together to clear new farm land by cutting down trees and burning the underbrush. This farming method is often cited as the main cause of forest fires and damage. Although this process does cause damage, it is far less than the destruction done by industrialists who obtain forest management rights from the government. Along with their other crops, the Tidung also harvest rice, coconut, and wood. Other Tidung are fishermen. Petroleum is also produced on Bunyu and Tarakan islands. Generally the Tidung choose their own marriage partners, but some marry partners chosen for them by their parents. Tidung gladly welcome the birth of a child with a ritual feast led by a religious leader. Neighbors are invited to come to the feast in which the child is given a name (tasmiah). The celebration is usually held after the child is one or two weeks old. At the party, there is a naik ayun (swing riding) ritual. In this ritual, the child’s parents put the child in a swing, cut the child’s hair and cover him/her with flour. Tidung are Muslims who perform their religious ceremonies in Islamic ways, but often with animist meanings. Islam was brought to the Tidung by merchants from Sulawesi. The animist side of their beliefs includes believing that spirits inhabit certain objects or places and can influence human beings. Thus, their traditional ceremonies are actually focused on seeking protection through magic by either appeasing or controlling both good and bad spirits. A shaman plays an important role in Tidung society and is often asked to heal sicknesses with spells. Previously a majority of Tidung people were Christian, but many have become Muslim due to trading and marriage with Bugis and Arab people. The Tidung are generally friendly and not ethnocentric, but seem to be closed to the Gospel. Being nomadic, most Tidung don’t have opportunities for a formal education, which is only available to those who are settled. Their openness to modernization, however, can be used as an asset to improve and develop their resources. They also need assistance to be more creative in managing their plantations, farms and fisheries for greater productivity.